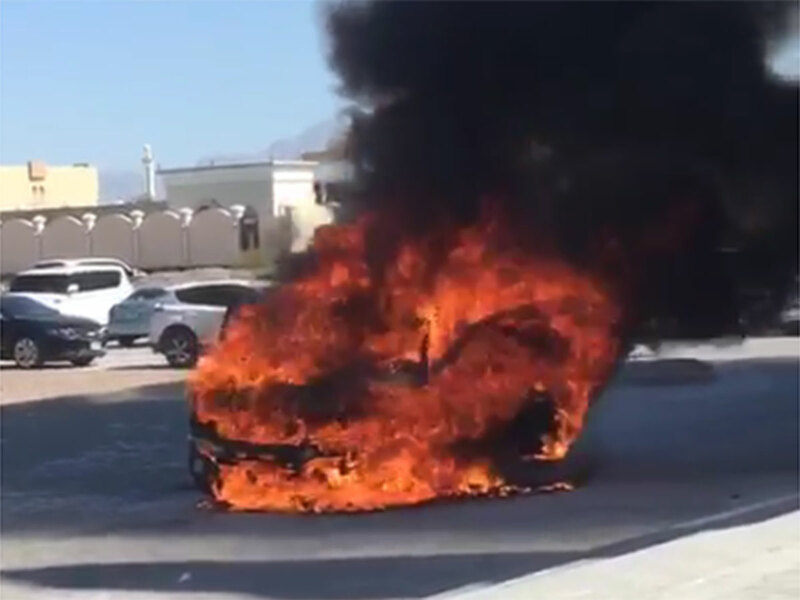 Ras Al Khaimah: A car was gutted after a fire broke out in the Al Dhait area of Ras Al Khaimah on Friday. No injuries were reported as a result of the blaze, according to Ras Al Khaimah Civil Defence. The fire started suddenly in a GMC car parked in front of a mosque while worshippers were performing Jumaa prayers, an official said. Ras Al Khaimah Civil Defence said the operations room received a call at 12.45pm on Friday and sent a unit to extinguish the blaze and prevent it from spreading to other vehicles. It was not immediately clear what caused the incident.